You can never have too many candles, or places to hold your trinkets. This would be a great place to show off those shells you found on your last trip to the beach. 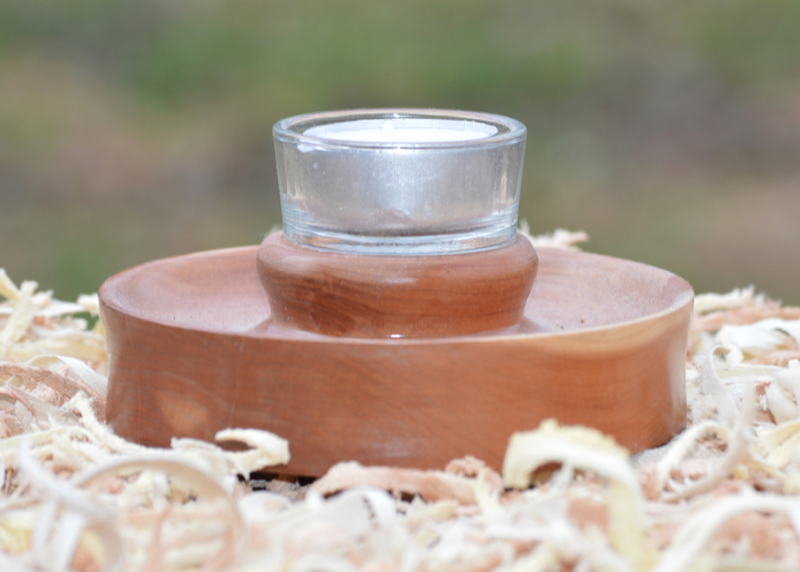 Made of Cedar with a water-based Polyurethane finish. 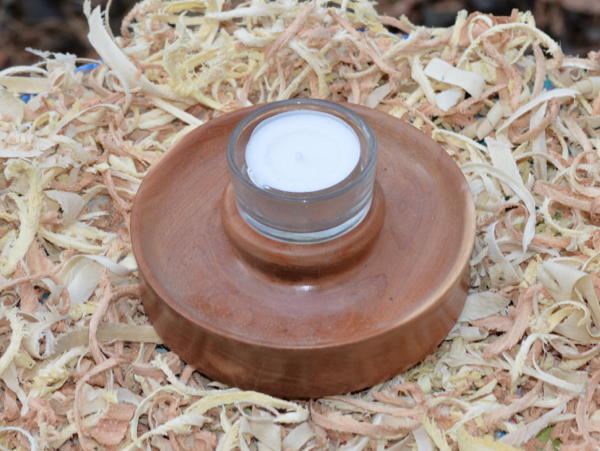 4 1/4" in diameter, the base is about 1" tall, the candle holder stand 2 1/4" tall. Comes with candle holder and candle.